AMUM is open Monday through Saturday from 9 a.m. to 5 p.m. except on University holidays and between temporary exhibitions. For details concerning closing dates, contact AMUM at 901.678.2224. AMUM offers guided group tours of the Egyptian and African Collections free of charge. Tours may be scheduled Monday through Friday between 9 a.m. and 4 p.m. Tours last approximately 20 minutes per Collection. 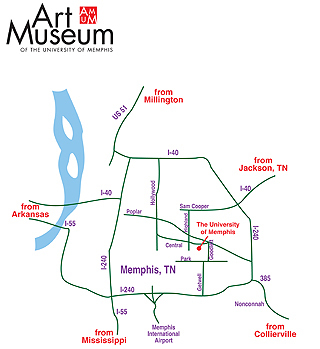 To schedule a tour, call AMUM at 901.678.2224. Because of space limitations, AMUM can accommodate no more than 60 visitors per tour. Tours are appropriate for grades 4 and up. Tours should be booked two weeks prior to the requested tour date. To receive an Educator's Guide to the Egyptian Collection, e-mail the Institute of Egyptian Art and Archaeology. Buses must park in the Connolly Parking lot accessible off Poplar Avenue near Deloach street. Bus drivers are encouraged to drop off students and chaperones before parking. Best place to drop off visitors is Central Avenue Parking lot. Bus drivers should note that the lot in which they must park is directly behind the Central lot, but only accessible off of Poplar. Objects and cases should never be touched. No food, beverages or smoking allowed. Briefcases, shopping bags, umbrellas, backpacks, and other bulky items should be checked at the front desk. Notes should be taken with pencils only. Please note the following parking advise: Parking is free Fridays after 4:00pm and on weekends in the Central Avenue parking lot. The parking garage is three dollars per hour and incurs a fee up to 15 dollars per day. Please note that the live map feed above marks a driving route. However, many pedestrian walkways also lead to the Museum. Use the map by locating your current position in regard to considering the shortest and easiest direct walk once you have parked. Parking is free on Fridays after 4pm and all day Saturday. During the week you have the option of paying two dollars per hour in the parking garage off Innovation Drive directly behind the Museum or paying the meters in the Central Avenue Parking Lot. 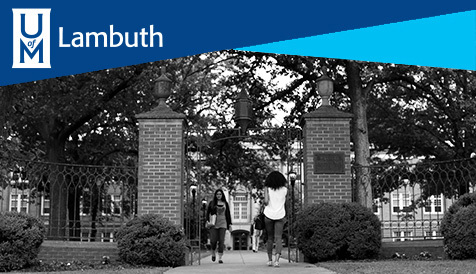 If you do not mind the exercise of a slightly more lengthy walk, then you have the added free option of parking on Deloach, which is the road that turns into Innovation Avenue the closer you get to the University. Disability Parking info here. 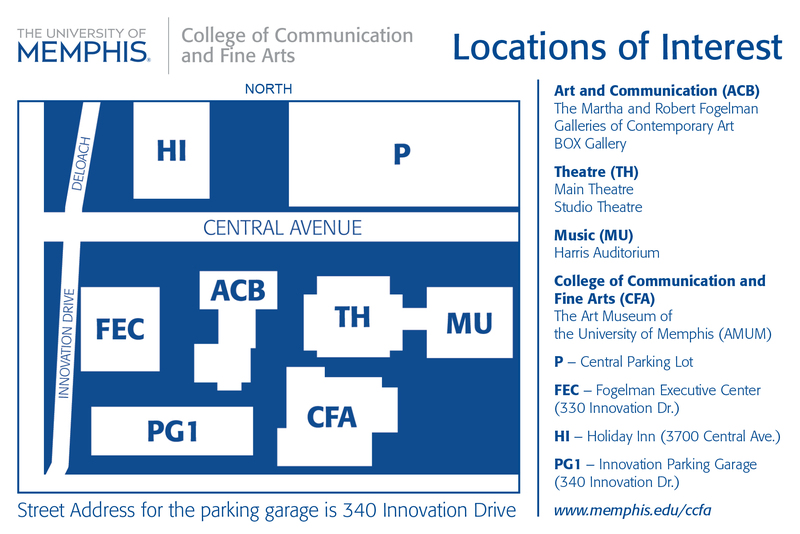 The Art Museum of the University of Memphis is located inside the Communications Fine Arts (CFA) building. Invited Visitor parking permits are available for University guests invited by a department and may be arranged through Parking & Transportation Services for the inviting department's distribution. Parking & Transportation Services is open from 7:00am – 6:00pm Monday through Thursday, and 7:00am – 4:30pm Friday. Visitor parking permits are available at Parking & Transportation Services. A fee is charged for visitor parking permits. Visitors may also park in the Innovation Garage and Zach Curlin Garage without a permit. An hourly fee is charged for parking in the garages.